It’s time to celebrate even more amazing 2017 titles from Month9Books! Today we are showcasing just a few of the books that you need to get and enjoy while relaxing during the holiday season. While your here, be sure to enter the giveaway found at the end of the post! Year in Review With Month9Books Part 2! It’s time to celebrate more amazing 2017 titles from Month9Books! Today we are showcasing just a few of the books that you need to get and enjoy while relaxing during the holiday season. While your here, be sure to enter the giveaway found at the end of the post! Be on the lookout for Part 3 of the Year in Review with Month9books! 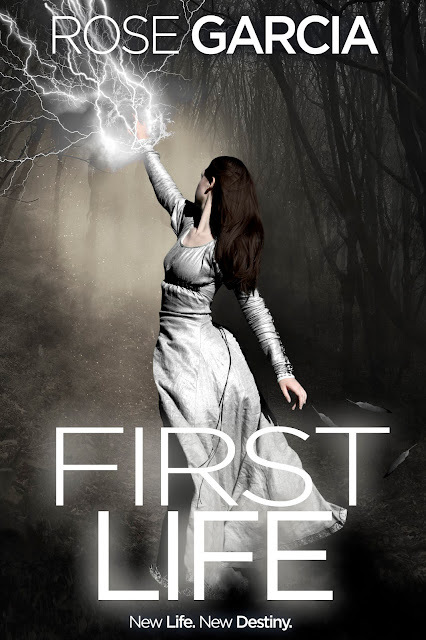 First Life by Rose Garcia Cover Reveal! Dominique has survived the final attempt on her life only to discover that someone connected to her future will suffer her same fate. Determined to spare this innocent loved one from being hunted for lifetimes, Dominique and her remaining allies travel to first life with a mission to alter destiny. When Dominique and her companions arrive in the past, they are confronted with a reality they didn't expect, and are shocked by a turn of events that threaten to change everything they know. A prequel that starts where Final Death leaves off, First Life delivers heart-stopping action and gut-wrenching emotional turmoil. Be sure to read Final Life, Final Stand, and Final Death before delving into the unpredictable world of First Life. Year in Review with Month9Books Part 1!!!! It's time to celebrate the amazing 2017 titles from Month9Books! Today we are showcasing just a few of the books that you need to get and enjoy while relaxing during the holiday season. While your here, be sure to enter the giveaway found at the end of the post! Be on the lookout for Part 2 of the Year in Review with Month9books! Fanny Newcomb and the Irish Channel Ripper by Ana Brazil Blog Tour with Personal Review!!! !